Your instinct will be to pass on by and most cars do, but it’s well worth stopping simply to get a better understanding of how Arches National Park was formed. It will only take 5 minutes of your time and the plentiful arches waiting on the other side of the ridge will still be there. If you think that you will stop on your way back, you may have great intentions of doing so, but the reality is that you likely won’t. The turnout is much easier to see on the way into Arches and by the end of the day of hiking you won’t have the energy to do so. 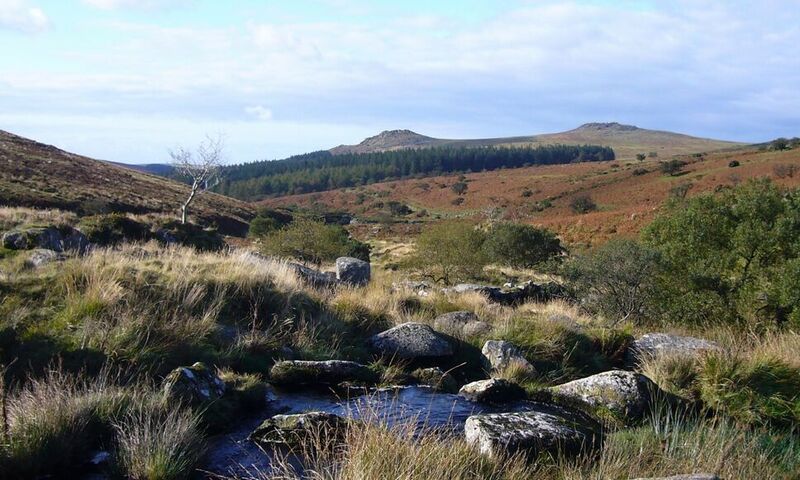 A dramatic break in the earth’s surface occurred here about six million years ago. Under intense pressure, unable to stretch, the crust cracked and shifted. 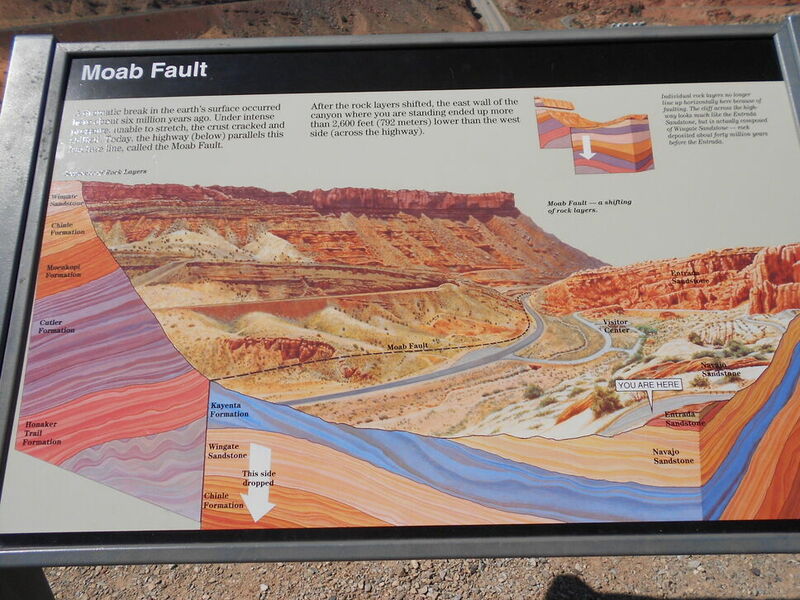 Today, the highway (below) parallels this fracture line, called the Moab Fault. After rock layers shifted, the east wall of the canyon where you are standing ended up more than 2,600 feet (792 meters) lower than the west side (across the highway). Individual rock layers no longer line up horizontally here because of the faulting. 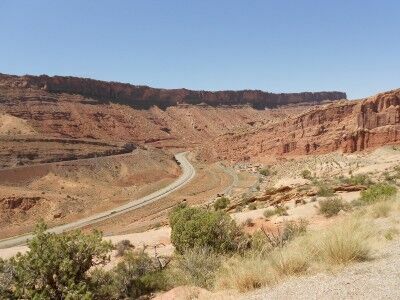 The cliff across the highway looks much like the Entrada sandstone, but is actually composed of Wingate Sandstone — rock deposited about forty million years before the Entrada. 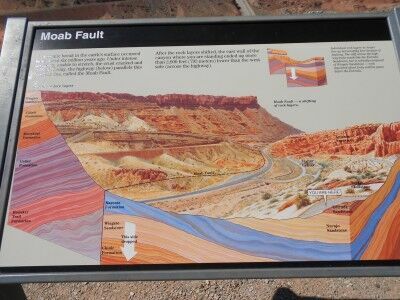 If the sole purpose of visiting Arches National Park is to see as many arches as you can, then the Moab fault information will be of little interest to you, but if you are there to learn, this five minute pull out is well worth the time.